The i-THRIVE Toolkit provides a straight forward process for THRIVE implementation that is available for anyone to use. It is an evidence-based approach to implementation based on Meyer, Wandersman and Durlak (2012). The toolkit will help sites identify opportunities to become more ‘THRIVE-like’. The toolkit provides useful information, resources and guidance for implementing THRIVE. The tools are a mixture of word documents, spreadsheets and slide decks which are available to be used as they are, or adapted to fit local contexts. Different localities will be at different stages in their thinking about how i-THRIVE can be used to improve services so some of the suggested steps and toolkit items will be more relevant and useful to some sites than others. For sites that have already undertaken steps towards implementing i-THRIVE, this toolkit can function as a review of the implementation so far. 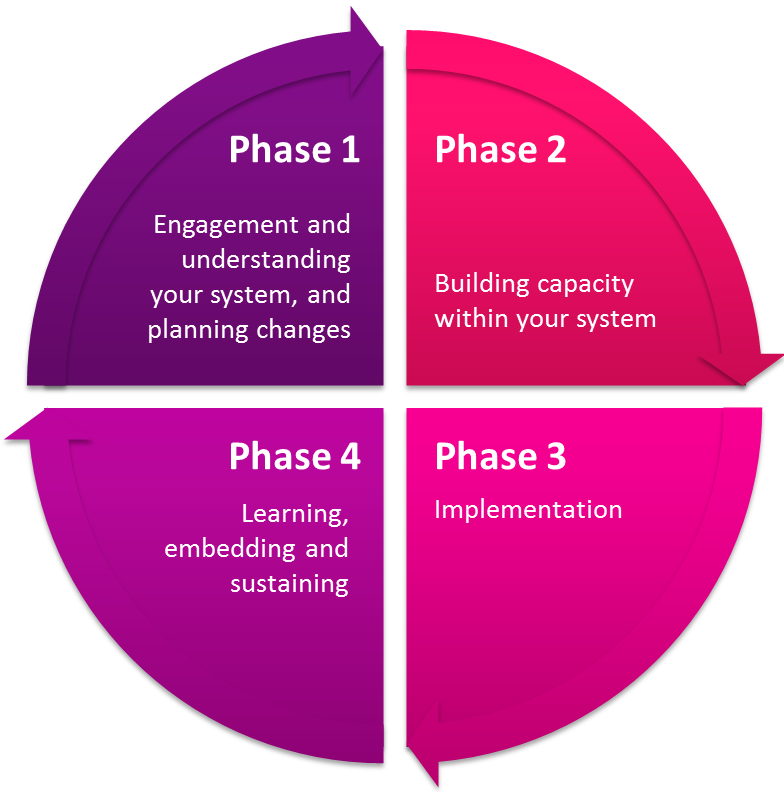 The i-THRIVE Toolkit will evolve over time as sites progress with their implementation of THRIVE. It is expected that sites will be developing their own tools and resources as well as making use of the tools created by the national i-THRIVE Team. As we collect experiences from those on the ground who have gone through this process, new tips and information will be added. In this way, the toolkit will grow into a truly useful resource for those wanting practical support in their i-THRIVE implementation.